Hooray for the Magic Conch! I love it when Spongebob gives me blogging content! It just so happens that this episode about the Magic Conch (or consciousness) is a fun way to teach kids (or anyone!) about awareness, tuning into positivity, and having unshakable belief! Just yesterday my son and I were watching a program on TV about Einstein and how he seemed to be able to access other realms of possibility…a universal pool of ideas and opportunities available to all of us if we become open to receiving that knowledge (a.k.a., being more conscious!). Certainly, the study of Einstein’s brain showed that he had significantly above average mathematical, visuospatial, imagery and synthesis abilities. But, for those of us with a more average brain, how do we help ourselves out? Can the “Magic Conch” help? Many of you may have seen an image like the one below which depicts the tip of the iceberg we would see if we were cruising on very cold waters. What we normally wouldn’t see is the enormous iceberg which continues for miles below the tip, outside of our view or awareness. That’s a great representation as well of our consciousness (or Spongebob’s Magic Conch). We can only tap into its vast knowledge if we are aware of it. 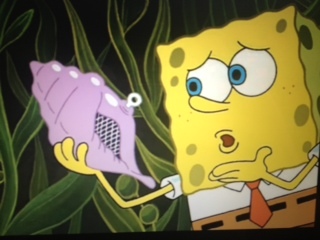 This Spongebob episode in particular provides a funny metaphor for problem solving and how the Magic Conch can help guide the way. Get on the right frequency. 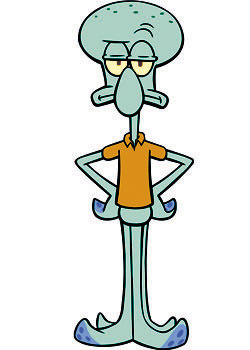 Squidward represents the frequency of negativity or low consciousness (challenges). 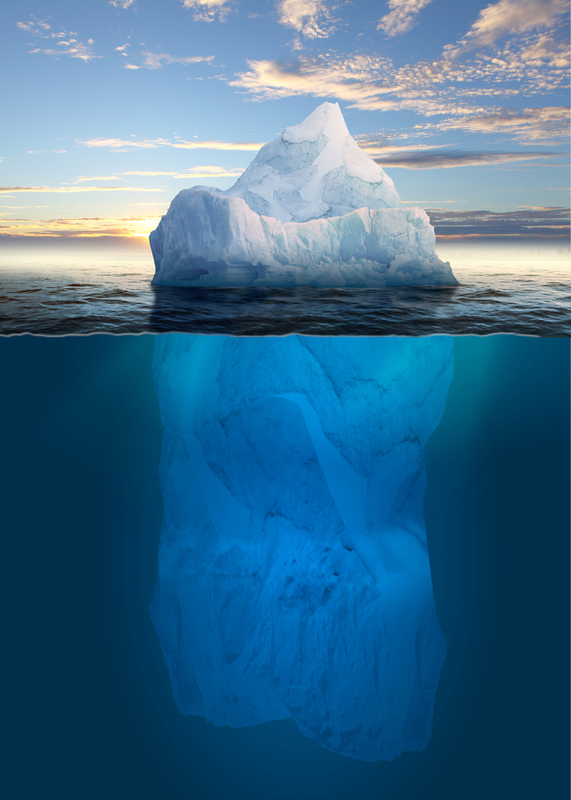 Tap into the universal source–the 90% we don’t normally see (like the iceberg). The Magic Conch represents that “answer”; the frequency of high consciousness (solutions). Have unwavering trust and know you will receive what you need (info or resources). The Magic Conch said to Spongebob and Patrick “Do nothing; wait.” They did just that, happily, and the resources they needed just fell out from the sky! That’s how the universe works too. I bet you can think of a time when this has happened to you. Would you share it with me? I find that one of the best ways for me to access this pool of knowledge and inspiration is by going on a walk. Walking puts me on that high conscious frequency every time. I always get my best ideas that way. For others, their Magic Conch can represent meditating, praying, chanting, singing, running, or day dreaming. I LOVE that episode. The Conch is very Buddha like. Hi Ken! Just watching Squidward so perplexed in this episode is worth it! Yes…even sea creatures can benefit from a little Zen! « You Either Grow or Die!